Apple je juce izbacio iOS 5 Beta 6 za programere. Kao prethodnik, ova verzija je prepuna minimalnih poboljsanja i ispravki bagova od strane Applea pred verziju za javnost. - Birthday calendars are not currently available via the icloud.com website or in Windows. They will be available in a future release. - FIXED: The default calendar is still the On My iPhone calendar despite setting up an iCloud account during Setup Assistant. As a workaround, reset the default Calendar after finishing Setup Assistant in Settings > Mail, Contacts, Calendar > Default Calendar. - FIXED: Pushing iCloud Calendar data is not working in iOS. To sync your iCloud Calendar, launch the Calendar app or refresh the calendars manually using the Calendars button in the top left corner. - Match data for turn based matches is currently limited to 4 KB of data. - NEW: Events will be passed to the delegate whenever a turn is made on a match, instead of just when it becomes the local player’s turn. - FIXED: When logging in to Game Center, the password may clear and login may not complete. Trying a second time will succeed. - FIXED: In this beta, GameKit Invites may fail. As a workaround, try restarting the device. - iBooks 1.2.2 may fail to display some text or images in books. Please update to iBooks 1.3 in the App Store. - As this is beta software, it is recommended that you do not use the iCloud services to store any critical data or information. If you enable iCloud Backup, automatic backup with iTunes when syncing will be disabled. We also suggest that you manually back up your device with iTunes. Backups made with earlier versions of iOS 5 beta will soon become incompatible, and will no longer be available. It is strongly advised you upgrade to this version of the iOS 5 beta in order to continue backing up your devices. If you encounter errors restoring from a backup, or enabling a backup more than one hour after signing into iCloud, try deleting your iCloud account from Settings and adding it back. If errors persist, please try erasing your device and initiating the restore again. - NEW: If you call either stringByResolvingSymlinksInPath or stringByStandardizingPath on a path descended from your container, you’ll never be able to use the result to successfully perform a coordinated read. - NEW: On KVS, the per-key limit has been raised to 64Kb (to match the per-app limit); and the maximum number of keys has been raised to 256. - Provisioning Profiles no longer need to be enabled for iCloud in the iOS Provisioning Portal. All newly generated provisioning profiles are now automatically enabled for iCloud. If you are using an Xcode managed Team Provisioning Profile, click refresh in the Xcode Organizer to obtain a new iCloud-enabled profile. To enable all other provisioning profiles for iCloud, simply regenerate your profiles in the iOS Provisioning Portal. - If your application is using the NSMetadataQuery class, you must set a predicate, even though the predicate itself is ignored. - In this beta, the setSortDescriptors: method of NSMetadataQuery is not supported. - The container identifier string you pass to the URLForUbiquityContainerIdentifier: method of NSFileManager MUST include the team ID at the beginning of the string. As a convenience, if you pass nil, Foundation uses the first document container ID specified in your app’s entitlements. - There are issues using the Cloud Storage document API in conjunction with protected data which can lead to data corruption. - FIXED: In this beta, document-based applications cannot always detect when files change, move, or are deleted out from underneath them. - In this beta, messages about changes to files in a directory are not getting delivered to objects that adopt the NSFilePresenter protocol. - Sync with iTunes to pull the logs off your device. - Attach the logs to your bug report. You can find the logs in ~/Library/Logs/CrashReporter/MobileDevice/DeviceName/DiagnosticLogs. - These logs can grow large very quickly, so you should remove the profile after you have reproduced the problem and pulled the logs for the bug report. - File names are case-insensitive in OS X but case-sensitive in iOS. This can lead to problems when syncing files between the two. You should take steps on iOS to avoid creating files whose names differ only by case. - iMessage beta 1 will be unable to communicate with iMessage users on beta 2 or later. - NEW:Setup Assistant does not input AppleID password in for FaceTime of iMessage. - NEW:The top-level views in a document that uses autolayout cannot have width and height constraints added. To workaround this you can add desired width or height constraint manually in code. - NEW:In Interface Builder documents using autolayout and constraints that Xcode generates cannot be deleted. You can “delete” these constraints by creating a user constraint for the behavior you are expecting. For example, if you drag out a button and Xcode generates a leading constraint to the button’s superview, and you wanted a trailing edge to the superview constraint, creating one manually using “Add Constraint => Trailing Constraint to Superview” would remove the leading edge to superview constraint. - NEW:It is known that equal widths/heights constraints can be broken on views that fill a container when resizing the window. If you resize the window and a equal widths/height constraint is broken, re-adding it will properly adjust the window to accommodate the constraint. - NEW: When editing the value of a constraint in the inspector, the constraint remains selected, and the outline view continues to show the constraint as selected. - NEW:In XCode 4.2 when copying views (either a single view or multiple views), both the user defined constraints directly on the selected view and the user defined constraints between the views being copied are copied to the pasteboard. - NEW:In Xcode 4.2 for a document using Cocoa Auto Layout, “Select All” in the canvas no longer selects the constraints and subviews of the edited view. If a view is selected, it will only select views. If a constraint is selected, “Select All” will select all constraints. - FIXED: When using the volume buttons on the device, or on headphones, the volume slider in the UI of applications may not update even though the volume level has changed. - Sync any devices that have beta 4 installed to the version of iTunes that came with beta 4. - Upgrade iTunes to the version that comes with beta 5. - After installing the beta 5 software, restore from your the backup you made in step 1. - Videos purchased from the iTunes Store do not play on a 2nd generation AppleTV over AirPlay with iTunes 10.5. - When changing the host name of an email account in settings, blank messages may be seen in the unified inbox. As a workaround, delete and re-add the account instead of changing its host name. - FIXED: When restoring photo libraries from an iTunes backup, some photos may not appear in the Photos application after restore. Please back up your photos before updating to iOS Beta 5. - NEW: If reminders syncing is enabled for a Yahoo account and there is no reminders collection on the server, it will continually get recreated by the phone. Due to a Yahoo server bug, that collection will show up as an event calendar. - Location services are not functional in iOS 4.3 simulator running on Mac OS 10.7 with Xcode 4.2. - Push and local notifications for apps appear in the new Notification Center in iOS 5. Notification Center displays notifications that are considered “unread.” In order to accommodate push and local notifications that have no “unread” status, developers can use their application badge count to trigger a clearing of notifications from Notification Center. When an application clears its badge count (by setting it to zero), iOS 5 will clear its notifications from Notification Center. - FIXED: The UIPrerenderedIcon key (in the Info.plist file) is not honored in this beta. - FIXED: In-App purchase will not work for developers testing their apps with the iTunes Sandbox. - The lock() and unlock() functions of UIATarget have been replaced with the lockForDuration() function. 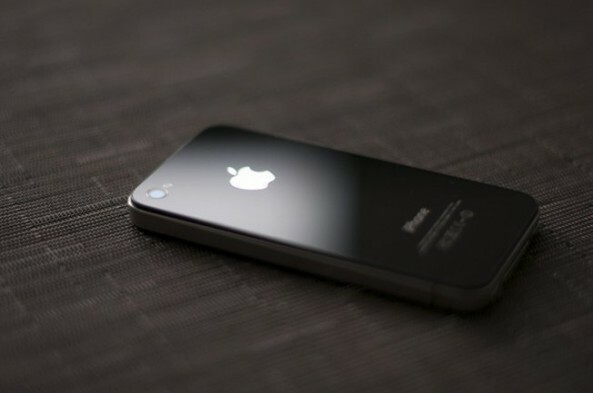 - Starting in iOS 5 beta 3, the exclusiveTouch property of UIControl has returned to its original default value of NO. - Returning nil from the tableView:viewForHeaderInSection: method (or its footer equivalent) is no longer sufficient to hide a header. You must override tableView:heightForHeaderInSection: and return 0.0 to hide a header. - Using the UIWebView class in Interface Builder, setting transparent background color is possible in iOS 5. Developers compiling against the new SDK can check their XIB for the UIWebView transparent setting. - Use the customization API for bars that in iOS 5 and later, which is the preferred way. - Subclass UINavigationBar (or the other bar classes) and override drawRect: in the subclass. - The indexPathForRow:inSection:, section, and row methods of NSIndexPath now use NSInteger instead of NSUInteger, so that these types match with methods defined on UITableView. - Touch events are not getting forwarded to the view in the cameraOverlayView property of UIImagePickerController. - We have changed the behavior of scrollToRowAtIndexPath:atScrollPosition:animated: such that UITableViewScrollPositionTop andUITableViewScrollPositionBottom now adjust for the top and bottom portions of the contentInset property. - NEW: In releases prior to iOS 5.0, the UIPopoverController class would unconditionally set the autoresizing masks of view controllers which were the content view controller of the popover controller. It would also unconditionally set the autoresizing masks of the views of view controllers pushed on to a UINavigationController object which was the content view controller of the popover controller.In iOS 5.0, the UIPopoverController class will no longer do this for applications linked on iOS 5.0 or later. Developers should ensure that the autoresizing masks of views are set properly to allow for arbitrary resizing within any container, not just popovers. A mask of(UIViewAutoresizingFlexibleWidth | UIViewAutoresizingFlexibleHeight) would not be unreasonable. - The completion handler for saveToURL:forSaveOperation:completionHandler: is now being called outside of the coordinated write block, where it used to be called inside. - NEW: The autosaveWithCompletionHandler: method is now called only for period-based saves and it is safe to return without saving. Documents must save, though, if the saveToURL:forSaveOperation:completionHandler: method is invoked. - In iOS 5, a new inherited CSS property, -webkit-overflow-scrolling, is available. The value touch allows the web developer to opt in to native-style scrolling in an overflow:scroll element. The default value for this property is auto, which allows single-finger scrolling without momentum. - FIXED: In beta 5, accessing sites that use client side SSL certificates does not work and may cause the application to crash. - There is a new HTML5-compliant parser. - Text layout width may change slightly because word-rounding behavior now has floating-point-based precision. - There is improved validation of the form field, which includes removing leading zeros and number formatting. - Touch events are now supported on input fields. - There is a new user agent that does not have locale information in the User Agent string. - FIXED: URLs are now canonicalized by making the scheme all lowercase. If a fake URL is used to pass information from a UIWebView back to native code, make sure that the scheme is always lowercase, or that the native code compares the scheme in a case-insensitive manner. - In iOS 5 beta 4 and later, wireless syncing is now available on Windows as well as the Mac. (This support requires OS X 10.6.8 or Lion.) You will see an option to enable wireless syncing when you connect your device to iTunes with the USB cable. It is recommended you perform your initial sync with a cable after restoring your device. - Wireless syncing is triggered automatically when the device is connected to power and on the same network as the paired computer. Or, you can manually trigger a sync from iTunes or from Settings > General > iTunes Sync (same network as paired computer required). - If you find issues with apps, media and/or photos synced to your device, you can reset then resync. From Settings > General > Reset, choose Erase all Content and Settings. Then reconnect to iTunes and sync again. - FIXED: In some cases, your device may fail to sync contacts, calendars and account settings, or back up to iTunes. If this happens, reboot your device and re-sync.